Create easily accessible storage space in your vehicle for tools, coolers, fridges, luggage, gear, boxes, and more. This 1.35m cargo slide fits in many pick-up truck beds and other vehicles as a “universal” cargo slide solution. 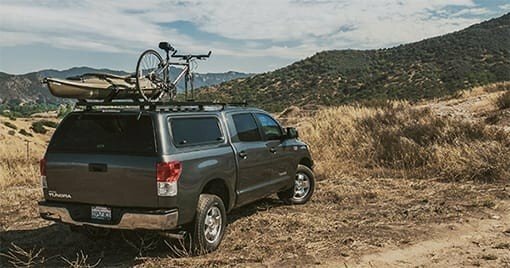 Engineered tough for both on and off-road conditions. Hold open feature prevents the slide from closing when on uneven surfaces. 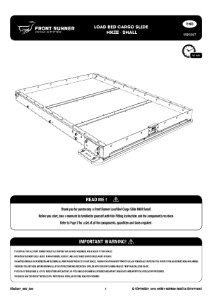 The “flat drawer” contains multiple tie down points and two cargo attachment channels for securing gear with Black Tie Down Rings and Stratchits or other style straps. High strength, sealed bearing slides allow the tray to extend nearly 100% from the anchored base. Mounts to flat surfaces. Depending on application, drilling into the vehicle may be required. Can this drawer be installed on top of SSDR010 + water reservoir? Yes, the load bed cargo slide can be installed on top of the drawer system.